We located and discovered five new wrecks linked to the Battle of the St. Lawrence during this project. The Mount Pindus was built in 1920. It was a 5,729-tonne steamer and 121-metres-long (400 feet). It was torpedoed on September 7, 1942 while it was part of Convoy QS-33. It is now 215 metres below the surface, 30 nautical miles east of Cap-des-Rosiers. The wreck seems to be partially silted up; you can see a lot of debris around it. 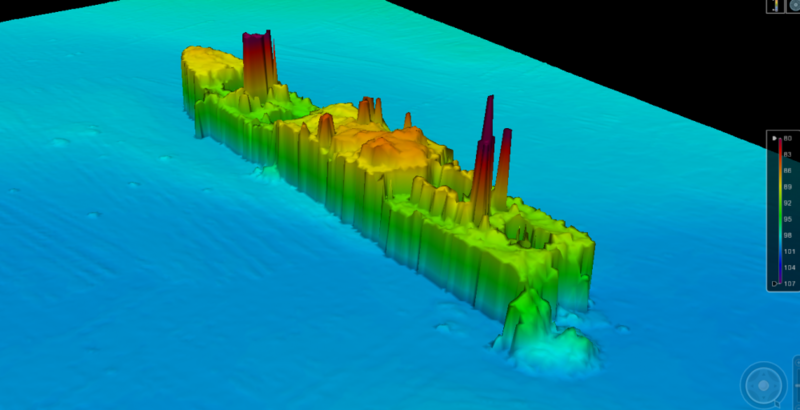 3D wreck of the Mount Pindus as captured using a multibeam echo sounder. 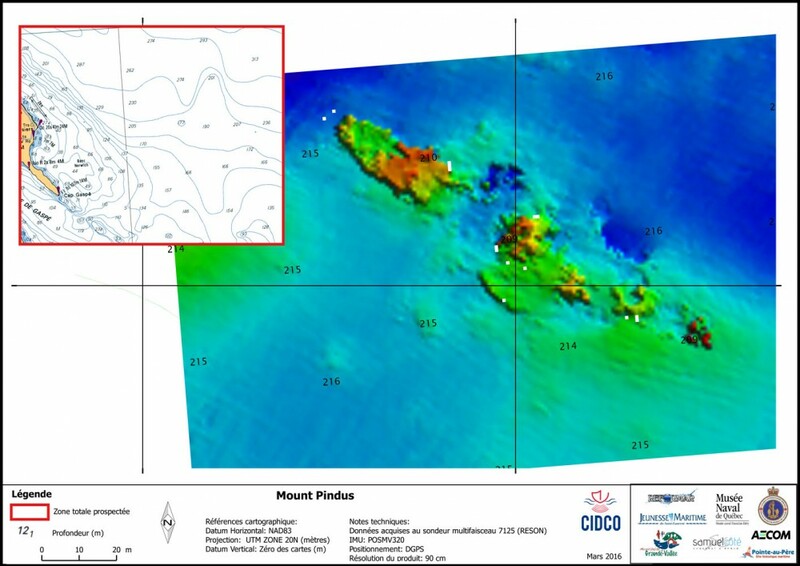 2D acoustic image of the wreck of the Mount Pindus as captured using a RESON 7125 multibeam echo sounder. Source: CIDCO. 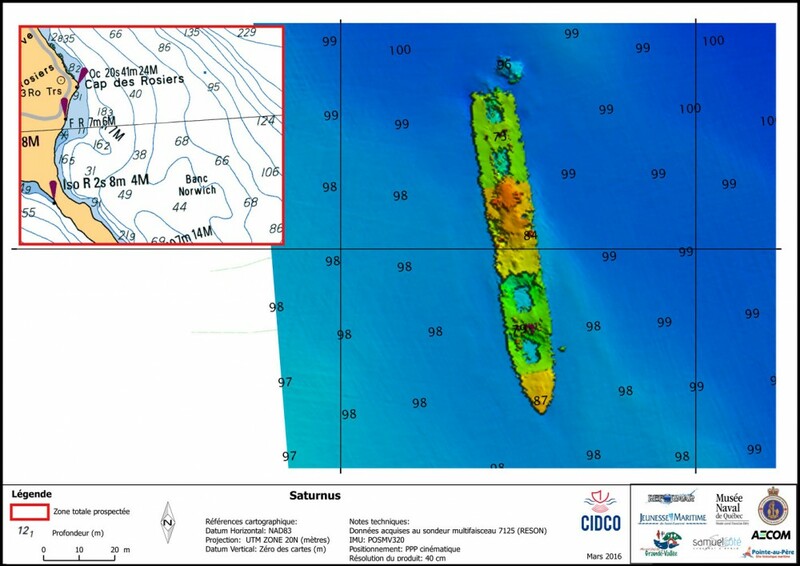 2D acoustic image of the wreck of the Mount Pindus captured using a RESON 7125 multibeam echo sounder. Source: CIDCO. The Mount Taygetus, built in 1921, weighed 3,286 tonnes and was 98-metres-long (324 feet). 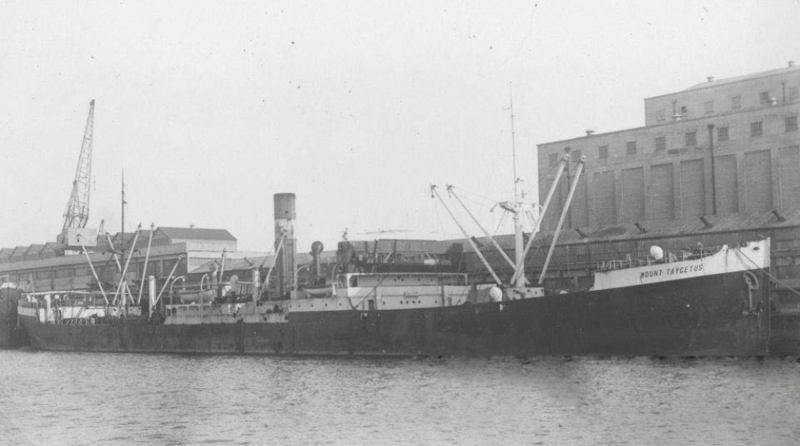 It was torpedoed on September 7, 1942 while it was part of Convoy QS-33. The wreck is now 210 metres below the surface, 30 nautical miles east of Cap-des-Rosiers. It seems to be very silted up. You can only make out the stern, the wheelhouse and the bow. 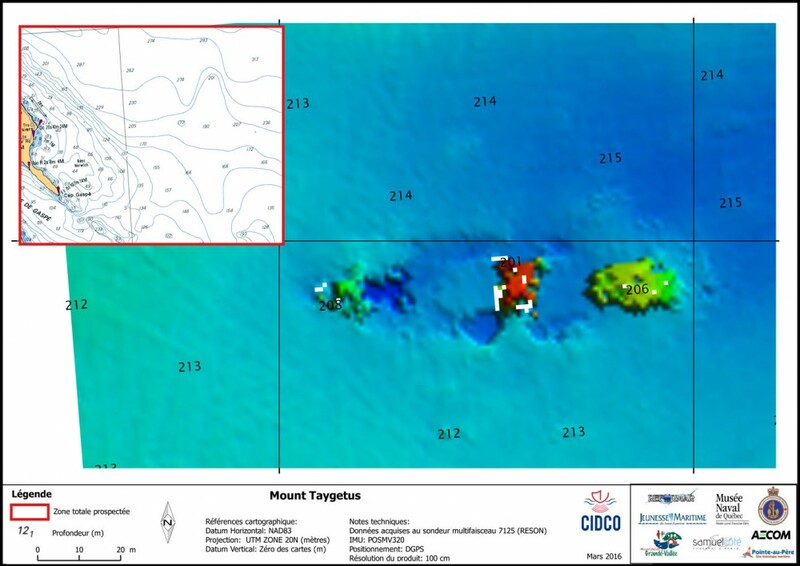 Wreck of the Mount Taygetus captured using a multibeam echo sounder. 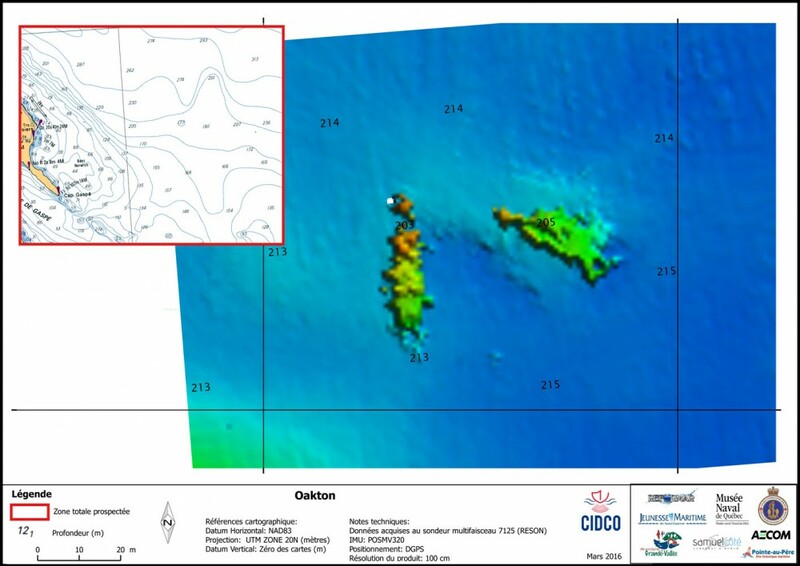 2D acoustic image of the wreck of the Mount Taygetus captured using a RESON 7125 multibeam echo sounder. Source: CIDCO. The Oakton, a 1727-tonne and 75-metre-long (250 feet) steel-hulled steamer, was moved to service in 1923. It was torpedoed on September 7, 1942 while it was part of Convoy QS-33. The wreck is now 210 metres below the surface, 30 nautical miles east of Cap-des-Rosiers. The ship is split in two. We were unable to gather a lot of information about the wreck from the acoustic images. An in-depth study of the data showed that the two pieces seem to be laid on their sides, which would explain why the images are not very detailed. 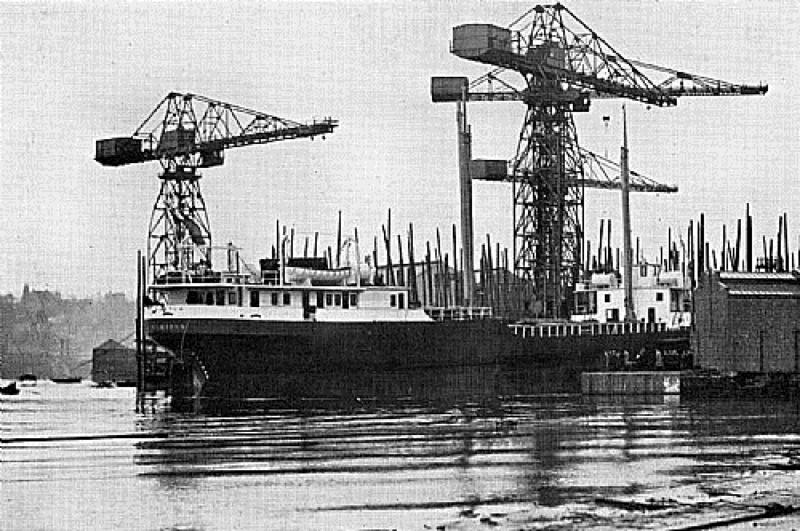 Launching the Oakton in Dumbarton, Scotland. Source: Collection of Graham Lappin. 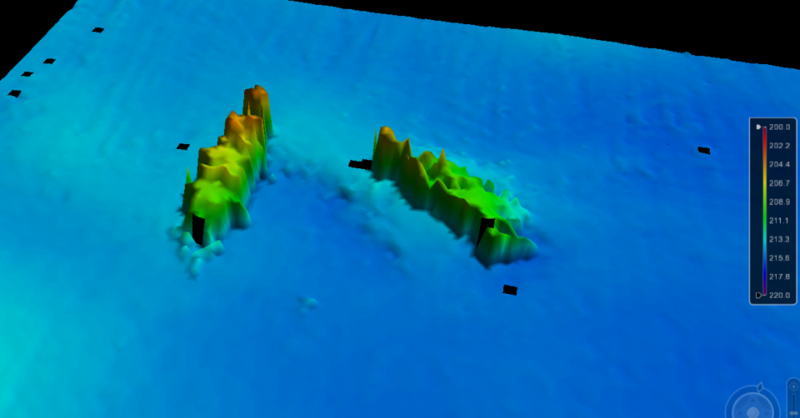 3D wreck of the Oakton captured using a multibeam echo sounder. 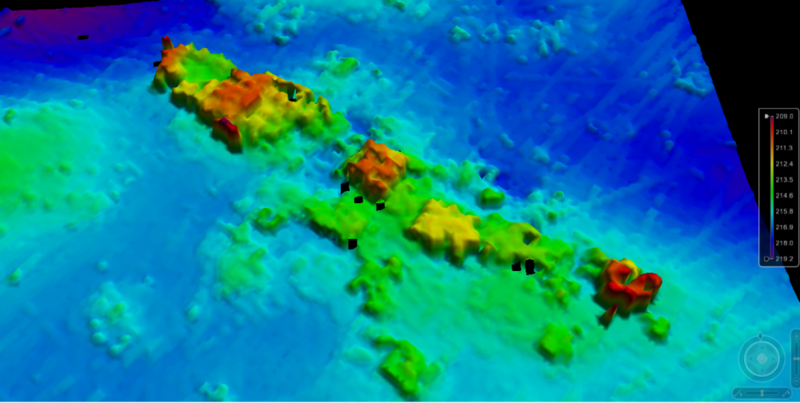 2D acoustic image of the wreck of the Oakton captured using a RESON 7125 multibeam echo sounder. Source: CIDCO. 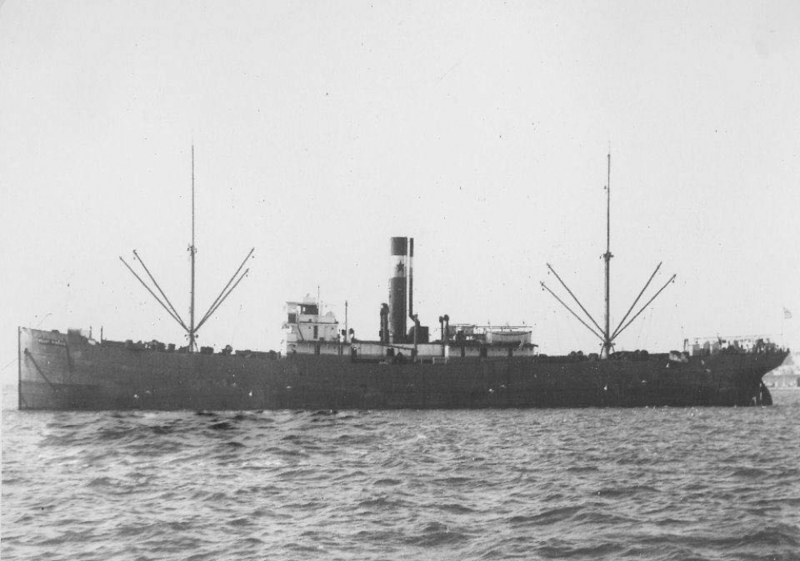 The Saturnus was built in 1909. 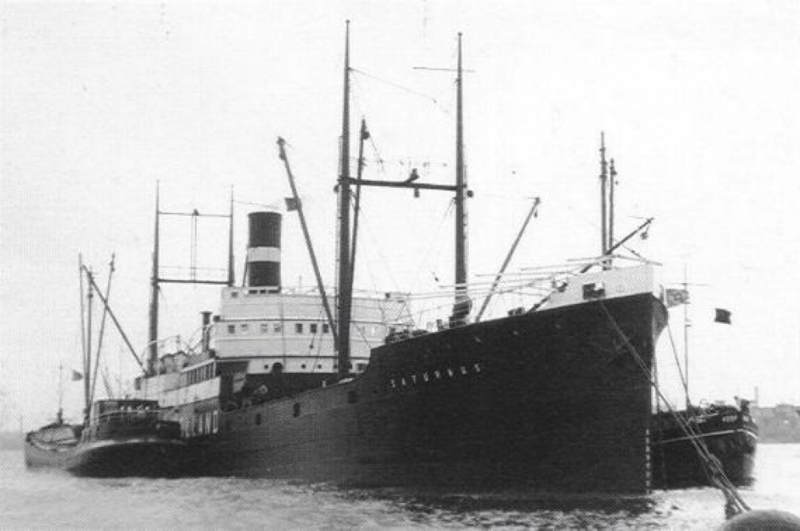 The 2,741-tonne and 100-metre-long ship was torpedoed on September 15, 1942 while it was part of Convoy SQ-36. The wreck is now approximately 95 metres below the surface, 7 nautical miles from Cap-des-Rosiers. The wreck is extensively damaged on the stern (point of impact). Some cargo booms are still in place, you can also make out the booms. After more in-depth analysis of the data, it would seem that the main deck is obstructed by a lot of debris. The debris could either have come from the ship or an external source. From testimonies we know that many a fishing net has become hooked on to the wreck’s structure. The wreck of the Saturnus captured using a multibeam echo sounder. 2D acoustic image of the wreck of the Saturnus captured using a RESON 7125 multibeam echo sounder. Source: CIDCO. The Inger Elisabeth was built in 1920 and was 88-metres-long. It was torpedoed on September 15, 1942 while it was part of Convoy SQ-36. The wreck is now approximately 130 metres below the surface, 7 nautical miles off the coast of Cap-des-Rosiers. The ship is split in two behind the wheelhouse, which corresponds to torpedo’s point of impact. You can clearly make out the wheelhouse and the holds. There seems to be a rectangular structure on the main deck at bow-level. There is also a debris field behind the ship. 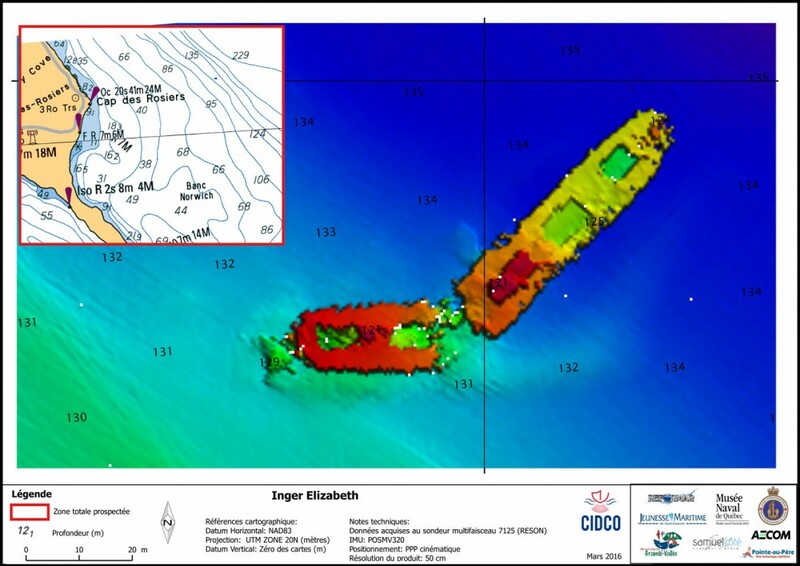 Wreck of the Inger Elisabeth captured using a multibeam echo sounder. 2D acoustic image of the wreck of the Inger Elisabeth captured using a RESON 7125 multibeam echo sounder. Source: CIDCO.